I just returned from a wonderful week in Australia where I had the opportunity to present and sit in on a few sessions at the Inclusive Technologies Conference put on by Spectronics. While there were literally dozens of great ideas and resources shared, one very practical and easy to use tip I learned involved tools for summarising text. While summarising text may not be appropriate in all settings, it is a great strategy to use for students that may not otherwise be able to get through the amount of text they must consume. Not long ago Microsoft Word actually had a text summariser tool built into the program. Unfortunately this was later removed by Microsoft and many educators have been summarising information manually for students ever since. 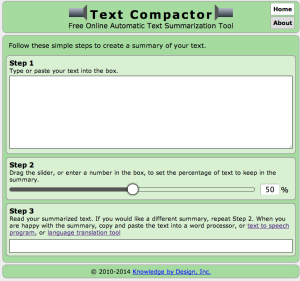 The first tool I learned of that can help is called TextCompactor. 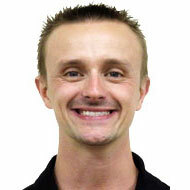 The website, which was shared by Dave Edyburn at the conference, could not be easier to use. Simply paste your text into the site and drag the slider to the percentage you would like it reduced to. Once complete you can copy and paste the reduced text into a Google Doc or other word processor and share with students. To make this strategy even more powerful it could easily be paired with Text-to-Speech, Highlighting Tools and other supports found in programs like Read&Write for Google. If you are using a Mac, a similar tool was demonstrated to me by Greg Alchin with the New South Wales Department of Education and Communities’ Rural and Distance Education Unit in Australia. 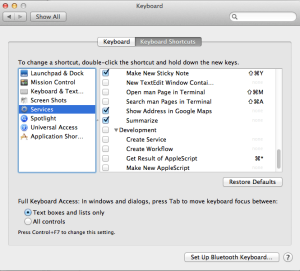 To use you must first turn it on in the Mac System Preferences. 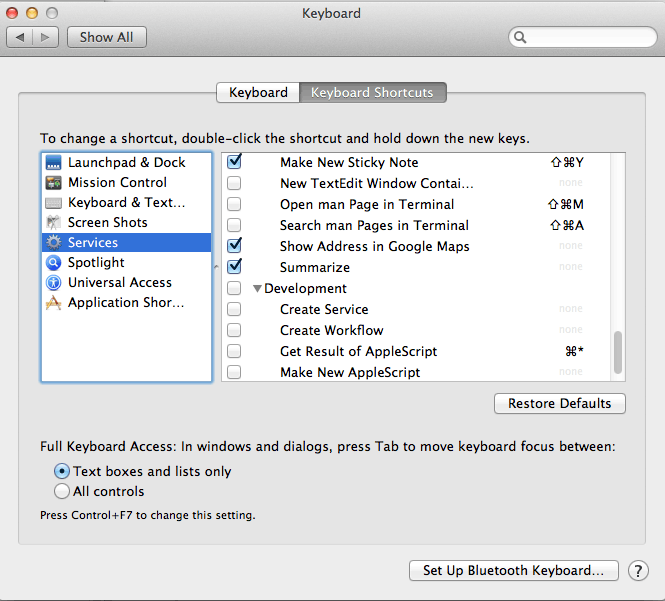 Do this by accessing System Preferences – Keyboard (make sure you are on the Keyboard Shortcuts screen) – Services – then put a check next to summarise under the Text category (see screenshot below). 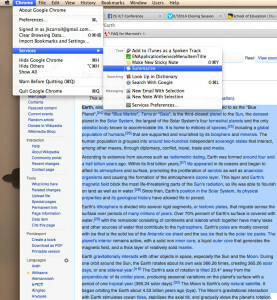 Once enabled, you can now highlight any text in Chrome, Safari, TextEdit, etc… then click the application name (i.e. 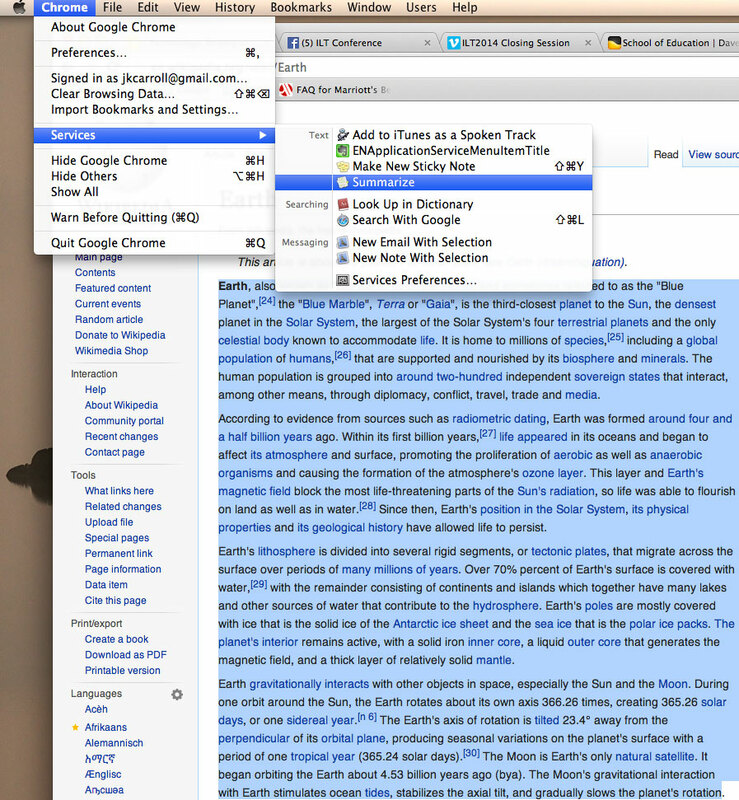 Chrome) on the menu bar followed by Services – Summarise. Note: You must highlight the text in order for the Summarise option to show. The text will then be displayed in a new TextEdit like window where you can adjust the amount of text to be shown with a slider bar. You can then copy, paste, save and share this text with students as previously discussed. These are just two of the tools I learned about specifically related to summarising text at the conference. I’m sure there are more out there. 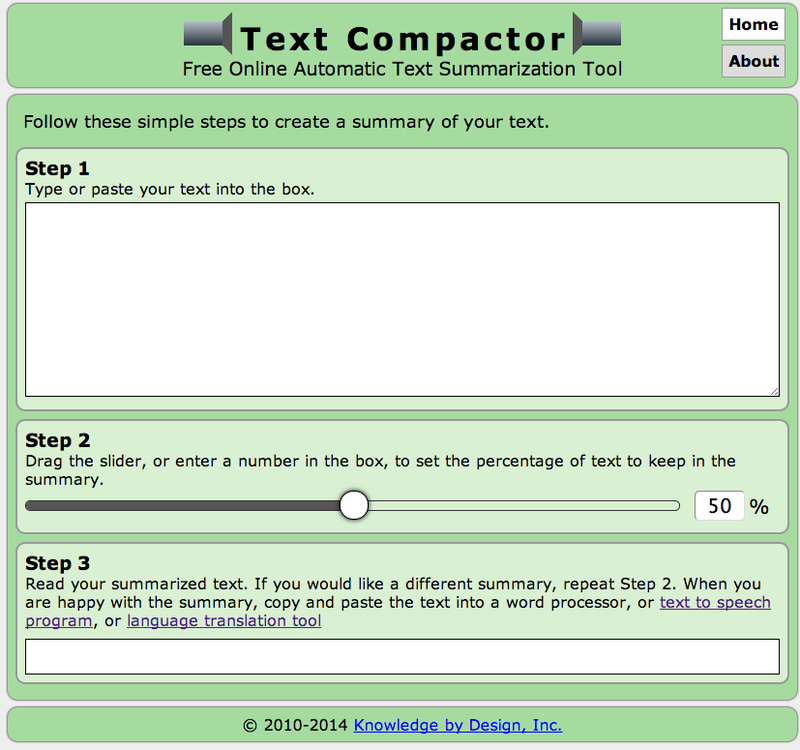 If you know of an easy to use text summary tool please be sure to share in the comments section below.